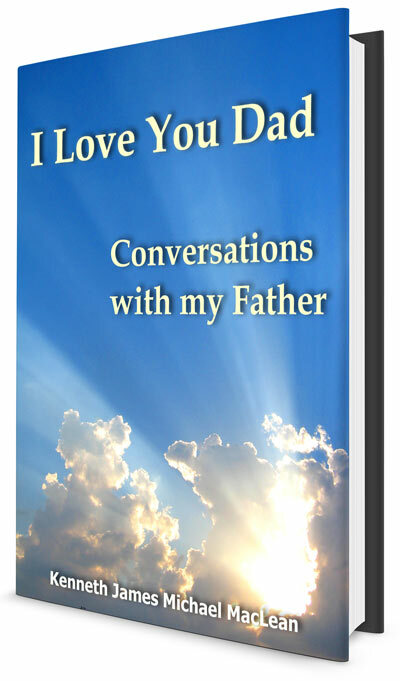 Imagine what it would be like to talk to your father after he died! The day after my father died I had a remarkable experience. I went out for a walk and felt his presence. For the first time in my life, we began to genuinely communicate on the most fundamental level -- spirit to spirit. I discovered what a truly remarkable being he was. Or should I say, is! Because I know now that there is life after death, and it makes me feel so happy to know he's still around. Well, it isn't. At least, not for me. When my father 'died,' his spirit left his body. But the conscious personality still lives on. My father told me what he experienced after he "died." And it blew my mind, but in a good way! Discover with me what it's really like on "the other side." "I want to thank you for writing the book "I love you dad", it was such an inspiration to me and it allowed me to easily release my fears and doubts. I cried a few times in the book, tears of overwhelming joy." I Love You Dad may be downloaded immediately after purchase. P.S. If you aren't satisfied after reading this eBook, I will give you your money back.